Historically speaking, the #1 way that players discover an online poker site or online casino is through affiliate marketing. For those who aren’t familiar with how affiliate marketing works, an affiliate site essentially advertises for a gaming operator and receives a payment from that company when new players sign up and play as a result of said advertising. Most sites that deal with online gambling or report on it depend on affiliate marketing in some form. 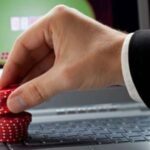 Most affiliate sites choose to review and rank online gambling sites and players can use this information to decide whether to sign up or not. With that said, not all affiliate sites are the same. 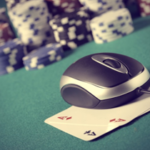 In this article, we’ll give you a few things to look for from sites offering gambling reviews. How Up-To-Date is the Affiliate Site’s Information? When researching a poker room or casino through an affiliate site, pay close attention to how current their information is. There are many affiliates that will put together some reviews and offers and fail to regularly update them. One way to check whether the site is up to date is to compare the gaming and promotional information against that of the site. Does it match or is the promotional information months or even years old? Also, shy away from affiliate sites that give generalized information about an online poker room. 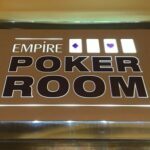 Casinos and poker rooms upgrade and change their games frequently, so it’s that much more important to have current information so as to make an informed decision about where to play. Whether you’re looking for the best online poker site or the best casino for video slots, the best thing to do is shop around prior to signing up. 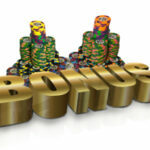 The reason is that bonuses can vary greatly from site to site. Affiliate sites offer exclusive bonuses, and many times these bonuses are targeted for specific target audiences. For example, if you are looking to sign up to an online casino site to play video slots, you probably won’t want to sign up through an affiliate site that focuses on online poker as they may not have the best offer. Instead, it would be best to utilize a site like Casumobonus. We recommend checking out at least a dozen different sites that offer a deal for your preferred casino or poker room to ensure that you find the best possible deal. How Honest is the Information Presented? Ever watch late-night infomercials? If you are to believe the pitches, then everyone can make millions selling real estate, you can eat your way to weight loss, and knives can cut through bricks and still stay sharp! There are numerous affiliate sites out there that simply sound like a late-night infomercial for online poker or online casinos. According to their reviews, every operator offers outstanding gaming across the board and everyone can be a winner and rack up huge rewards. The bonuses are fantastic and you can easily double or triple your starting bankroll just by signing up. 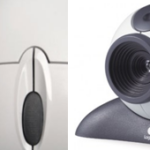 Honest affiliate sites do more than just try to sell you a product. They give you honest and thorough reviews of the product. Sure you can get 3x your deposit as a bonus for signing up, but you also have to gamble/play through the bonus 40 times before you can cash out said funds. 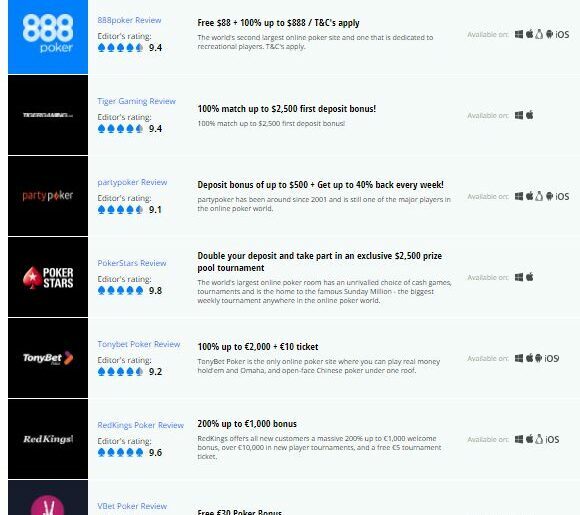 Via honest affiliate reviews, you may come to find out that certain casino games offer a paltry 88% return where other sites might have games paying out 95% or more. The good affiliate sites will also give you honest information on making deposits, cashing out, and how safe and secure the online poker rooms and casinos are. A good rule of thumb when dealing with reviews is to gauge their positivity. If they are overly positive with few or no negatives whatsoever, then you best check out another few reviews to be sure before choosing said operator. 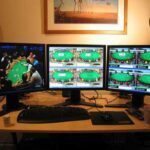 Sure, some online poker rooms are awesome, but even the best ones have their drawbacks – even the great and mighty PokerStars. Does the Site Have Any Added Value Besides the Reviews? 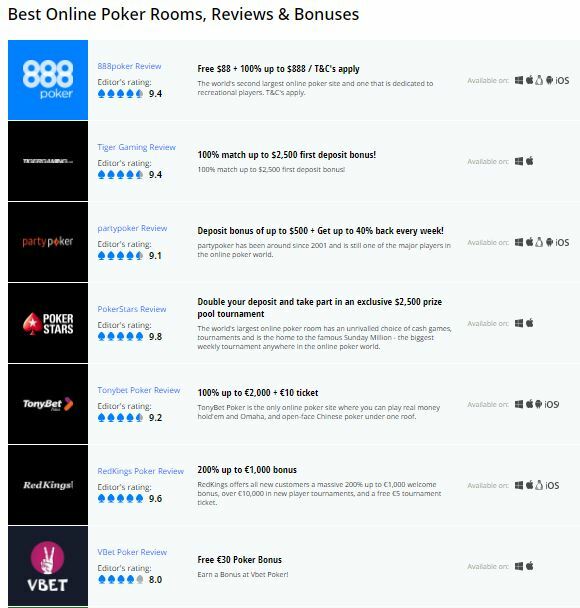 A standard format you will see with affiliate sites is that they offer online poker or casino reviews and maybe some basic information on how to play all the games and poker variants. Outside of this, an overwhelming majority of affiliate sites don’t have any real added value. The best affiliate sites offer some type of added value to players. 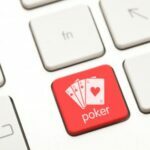 Popular sites that all poker fans are familiar with, like PokerNews, PokerListings, and PocketFives, all rely in part on affiliate marketing for revenues. However, they also provide players with much more than casino reviews and general online poker information. Sites that offer value-added services are much more likely to stay afloat than others because their poker-loving audiences will remain loyal and continue to visit time and again. When these affiliates promote poker room or casino offers, players are likely to pay more attention or sign up through them because they perceive the affiliate site as offering something of value. Affiliate sites have more of a symbiotic relationship with players. They offer players information and services they need. In return, players often wind up signing up for advertised offers, which helps keep the sites running.